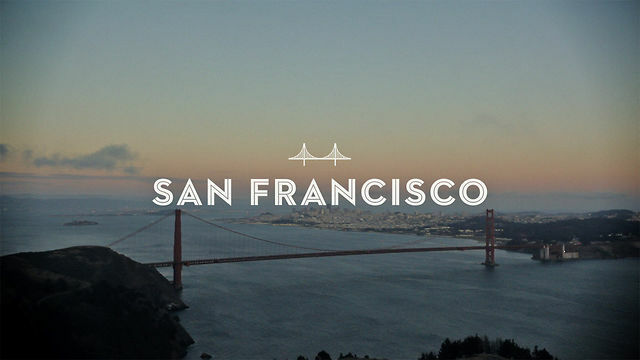 Forget “I left my heart in Beverly Hills”, there’s only one city that’s captured my heart and that’s San Francisco. In fact I’ve even been known to contemplate moving to the city of fog my love runs that deep. Unfortunately I’m yet to find someone to offer me sponsorship else I’d be on a flight quicker than you can say “visa”, from an out and out country girl that’s high praise indeed! I first fell head over hills for San Fran in December 2010 whilst on a work trip. Looking back it’s hard to pinpoint the exact moment it happened, it could have been shopping on Union Square in a t-shirt, the first time we drove down Lombard Street, the cute SF SPCA window display at Macy’s or perhaps just that it was the start of some of the best friendships I’ve ever had. Whatever it was, since that very first trip I’ve been smitten. So it’s with great excitement I find myself planning my first week long vacation in SF. As a frequent flyer with Virgin Atlantic I’ve been busy racking up the airmiles and was pleased to discover that my trip to St Lucia gave me enough tier points to make me a Flying Club Gold member (woohoo!) it also meant I had enough airmiles to fly to San Francisco for just £200, although admittedly I’ll be slumming it in economy for once (boo!). I’m crashing with one of my besties too so all in all it should be a pretty cheap trip. My trip is still a month away so I’m trying not to get to the *bouncing off the walls with excitement* stage just yet and instead am planning just what I want to do whilst I’m out there as I’ve still not done the whole Alcatraz thing. I’ve also been reliably informed that there’s places outside of Cheesecake Factory (which tbh isn’t as great as it sounds anyway!) that I should try eating at so I’m being whisked on an gastronomical tour of the city whilst I’m there too. I’m hoping that still includes a stop at Lori’s Diner as a trip to San Francisco just isn’t the same without corned beef hash and refillable cherry cola! So far checking out the Virgin Clubhouse at London Heathrow and finally going to Alcatraz are high up on my list of things to do, but if you have any insider knowledge or suggestions on places I should check out please do let me know.